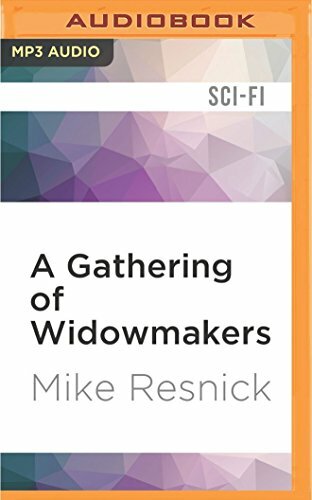 Amazon.com description: Product Description: There is only one thing that Jefferson Nighthawk, the original Widowmaker, really wanted to do, and that was retire on a far-away planet and raise a garden. There were still two clones of him to keep the peace and carry on his legend. Unfortunately for him, his two clones have come to a disagreement. When a widowmaker takes on a widowmaker, everyone runs for cover. There is only one man who can stand up to the clones of the Widowmaker... the Widowmaker himself. About: There is only one thing that Jefferson Nighthawk, the original Widowmaker, really wanted to do, and that was retire on a far-away planet and raise a garden.